The practice was founded in 1945 by Dr John Hunt, late Lord Hunt of Fawley. 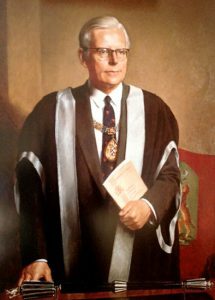 Described by the Royal College of General Practitioners as “one of the most distinguished GPs of all time” Dr John Hunt was a driving force in its foundation. He subsequently became the first honorary secretary and then the president of the Royal College of General Practitioners. He played a key role in helping form the role and standing of general practitioners in the UK. Lord Hunt was honoured by both medical and lay organisations worldwide, he was appointed CBE in 1970 and in 1973 was given life peerage, as Lord Hunt of Fawley, in the House of Lords. Initially in 54 Sloane Street, the practice moved to 82 Sloane street in 1968. His son, Dr Jonathan Hunt and granddaughter Dr Chiara Hunt both followed him into the practice. Dr Peter Wheeler joined 1981, Dr Mark Bushnell in 1991, Dr Patrick Ruane in 2007, Dr Iona Cobb in 2015, Dr Toby Dean in 2017, and Dr Russell Ward in 2018.